Good morning! I hope you’re having a good week so far. Mine is great so far, and the kids and I are heading out of town for a few days. 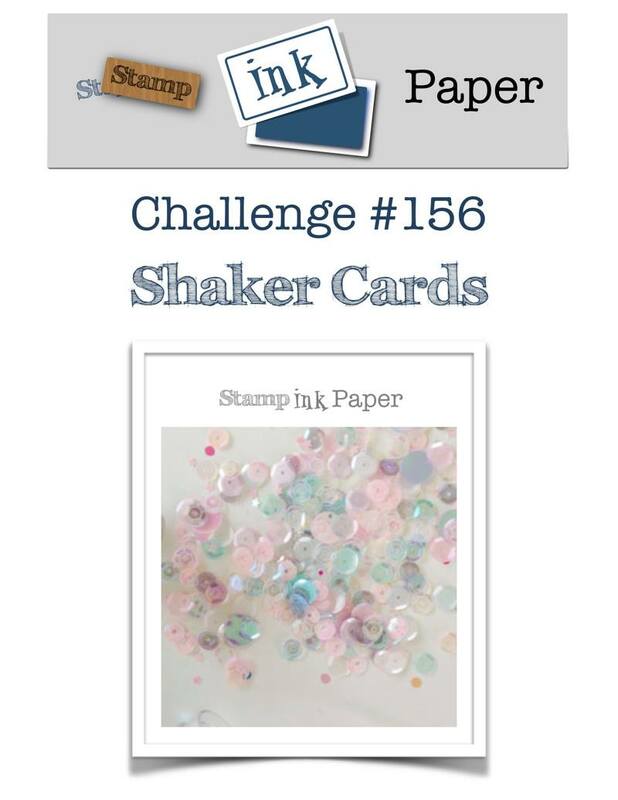 Today I have a shaker card to show you, using the Sea of Textures bundle, for the Shaker Cards challenge at Stamp, Ink, Paper. We’d love to see your shaker cards, too, so please play along this week! I started with a Balmy Blue card base. 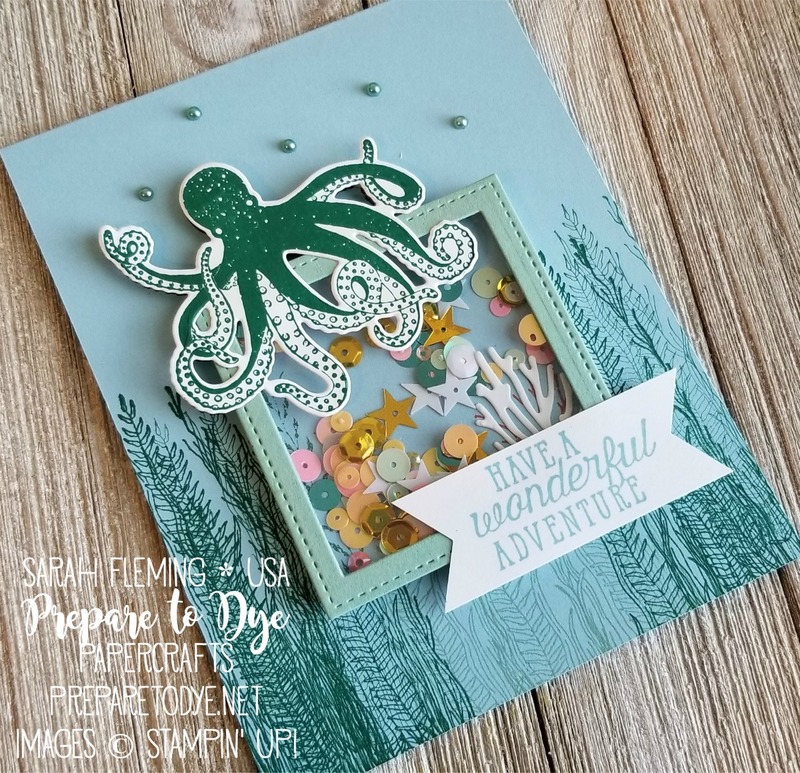 This is one of the new colors in our Subtles collection, and I LOVE it. I stamped the seaweed from the Magical Mermaid stamp set in Shaded Spruce and Mint Macaron. The shaker part of the card is done with Stitched Shapes framelits and Layering Squares framelits. 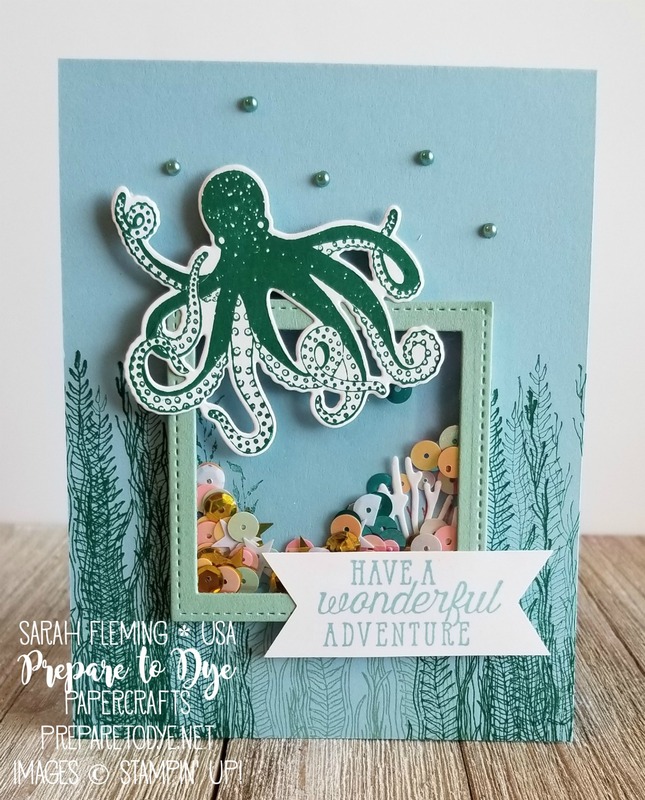 The coral and stamping inside are from the Sea of Textures bundle. The sequins are from a past Paper Pumpkin kit and some retired sequin trim. The octopus is stamped in Shaded Spruce, and the sentiment is done in Balmy Blue. I finished the card off with some Artisan Pearls.